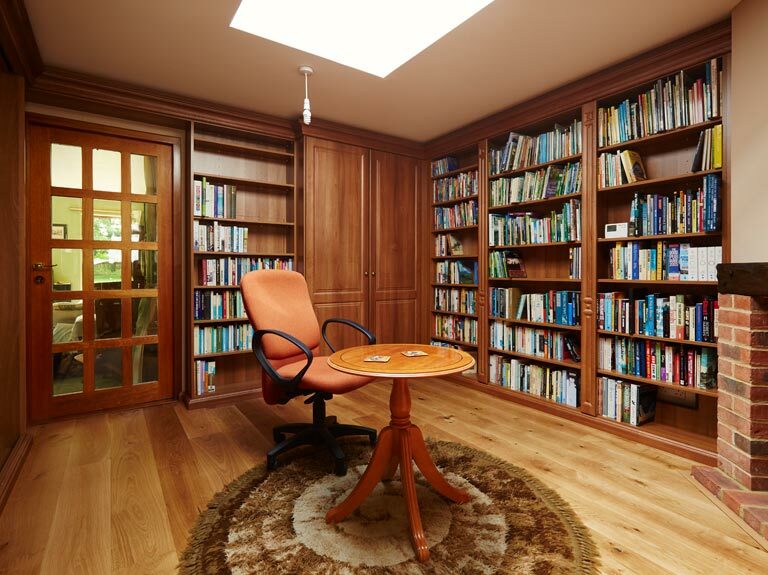 Dr. and Mrs. Harrison had a large literary collection that they wanted to store and display in an appealing library that featured moving double shelving units. 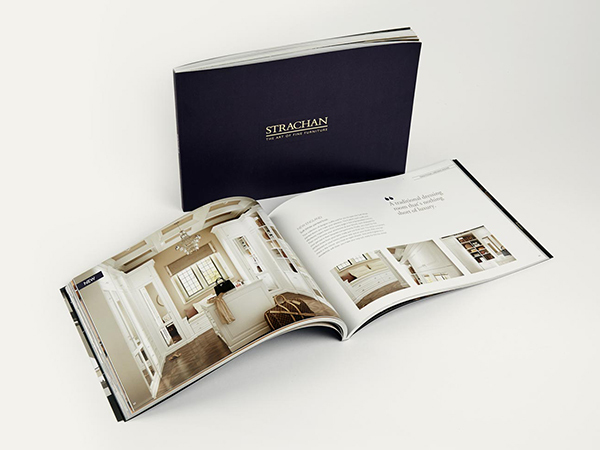 After discovering their local carpenter and a number of national companies were unable to deliver their vision, they requested that Strachan’s expert designers create convenient and clever storage solutions to utilise and complement the space in their home, whilst making access to existing storage and electrical points. The room featured a natural alcove, which provided the ideal space for shelving. In order to make the most of this, our experienced designers and craftsman created a bespoke depth shelving. 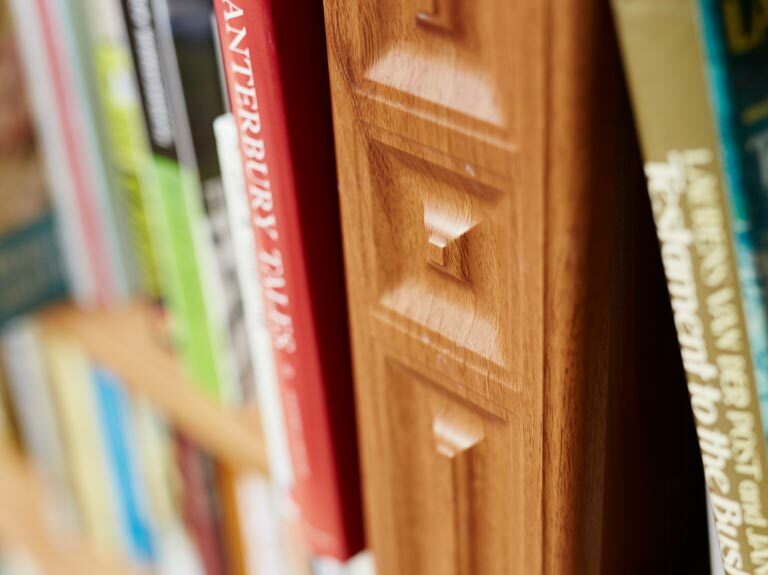 The three moveable front units provide access to books on the four additional bookcases set behind, discreetly delivering a significant amount of storage without requiring any additional wall space. 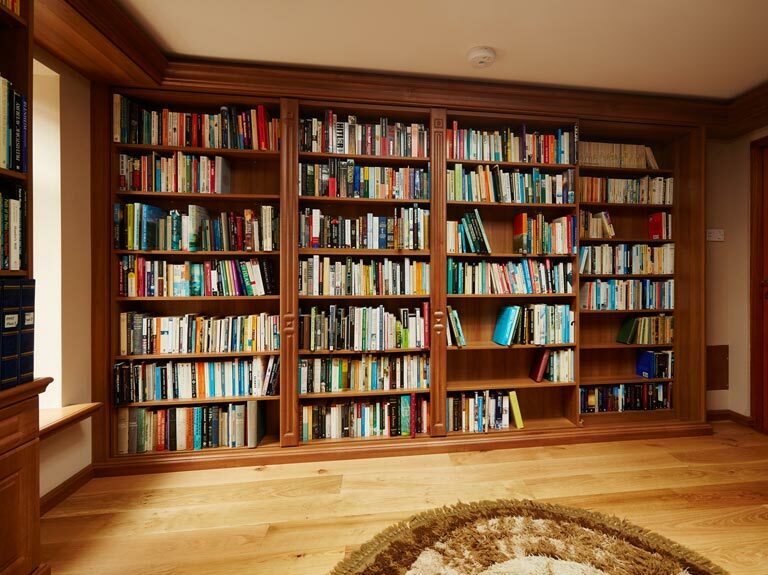 The bespoke bookcase was configured to include three front units, which would slide across to provide access to the four bookcases set behind. These featured heavy duty rollers, which hold up to 95kg per unit for complete stability. They also deliver a smooth action, allowing the customer to effortlessly move them with one hand from side to side. Pilasters were added to the sliding central bookcase unit as an additional feature so that the three front sliding units could be aligned to perfectly mirror the design of the fixed bookcases on the opposite side of the room, thereby maintaining an ordered and symmetrical aesthetic. 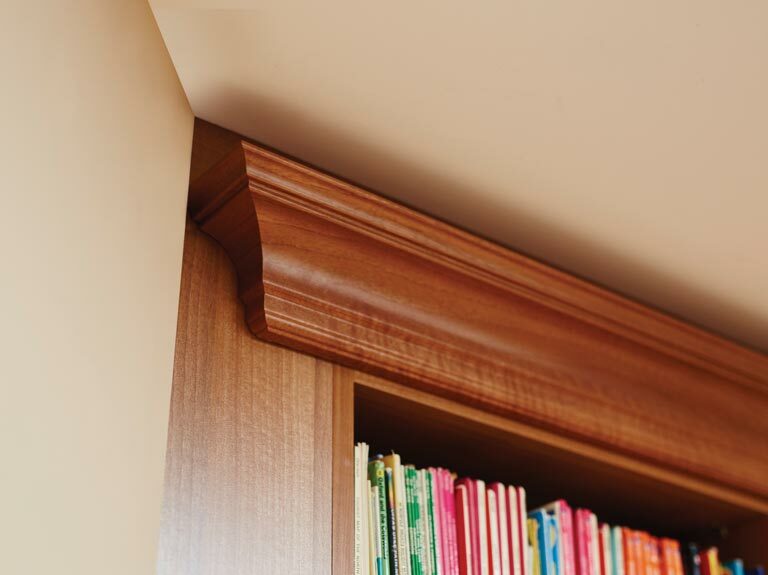 As an aesthetic integral feature, the bookcase units were fitted with a profiled cornice in a matching Uno Walnut wood grain. The protruding fireplace created an awkward angle with the adjoining wall for finishing the cornice mould. This was mitred on one side to neatly align with the angle of the wall for an aesthetically pleasing effect. 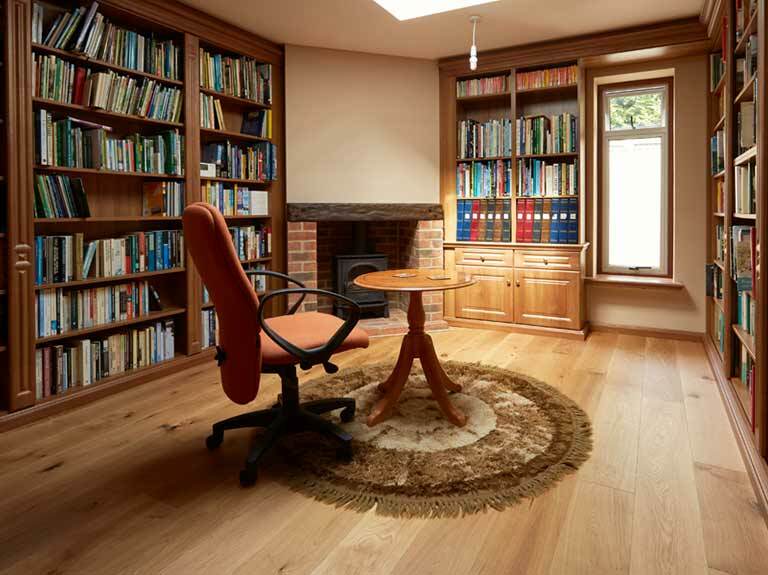 In addition to the bespoke bookcases, two bookcase height cupboard doors were fitted in the corner of the library room. The right hand door opens to shelved cupboard space with access into the corner. The left hand cupboard door enables discreet access to existing cupboard storage to maximise use and flexibility of all available storage space.